Yes, it’s warm and it’s August but still chilly times aren’t that far and it’s better to prepare for them beforehand. Radiators are our rescue in cold times but they are often rather ugly and can spoil any interior. But don’t be afraid, there’s a great way to handle it, just cover the radiator! 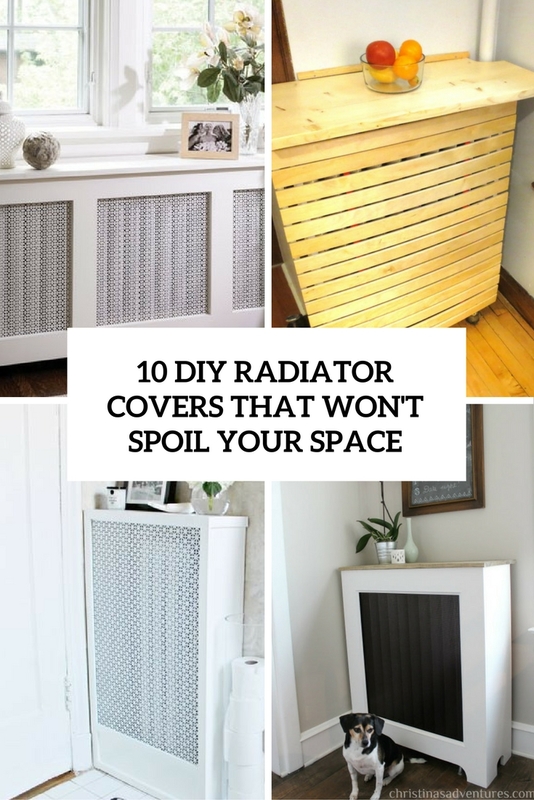 You can cover the radiator with any cover, it can match your interior and highlight it, and it can be very functional, for example, it can work as a shelf or a bench if it’s placed on the floors. The main point is to minimize the loss of heat from it and make it heat resistant to keep it safe. 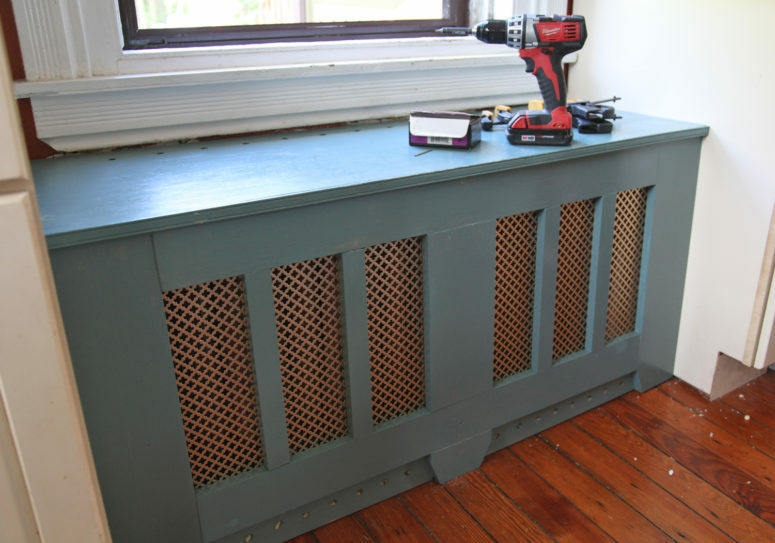 Here are some DIY ideas that you can realize at home and make your radiator cool. 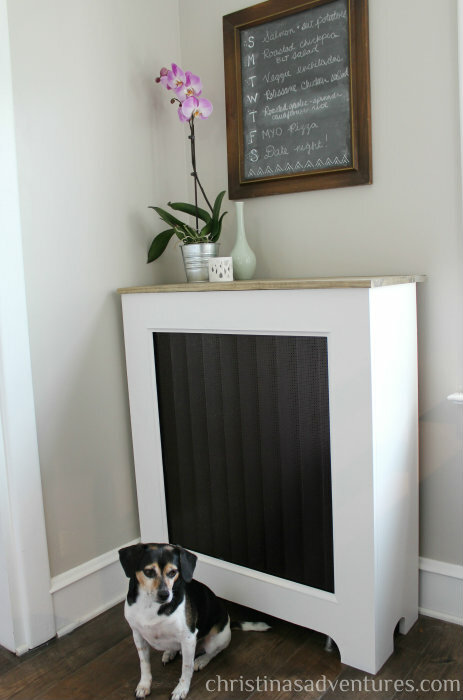 The first tutorial is about building a stylish radiator cover with a flat top that gives you a little extra storage or display space. You’ll need some wood and MDF for building frames and then screens. Also, be aware of how the water pipes feed into the radiator. If you want to conceal the pipes inside the cover, you need to include them in the length measurement. The next tutorial is also a cover that doubles as a storage due to the flat surface. The cover is built of pine wood according to the instructions. The cover isn’t solid to make the circulation of the hot air better and to reduce the loss of heat from the radiator. The third idea is building a more solid cover that won’t stand out much. It’s made of wood but with a bronze lattice, which makes heat circulation easier. You can paint it however you like, here it’s a vintage grey look with bronze. This stylish modern cover is made of MDF and aluminum sheeting. Paint the MDF white and get black aluminum to achieve this modern laconic look. The author also made a natural light wood top to use it as a shelf but it’s optional. This pine wood radiator is a simple and modern idea for any home, and it’s perfect to protect your kids from hot iron radiators. One more stylish cover is built of wood and a decorative aluminum sheet. It’s done in white and silver but you can paint both the wood and the sheet the way you like to match your interior. 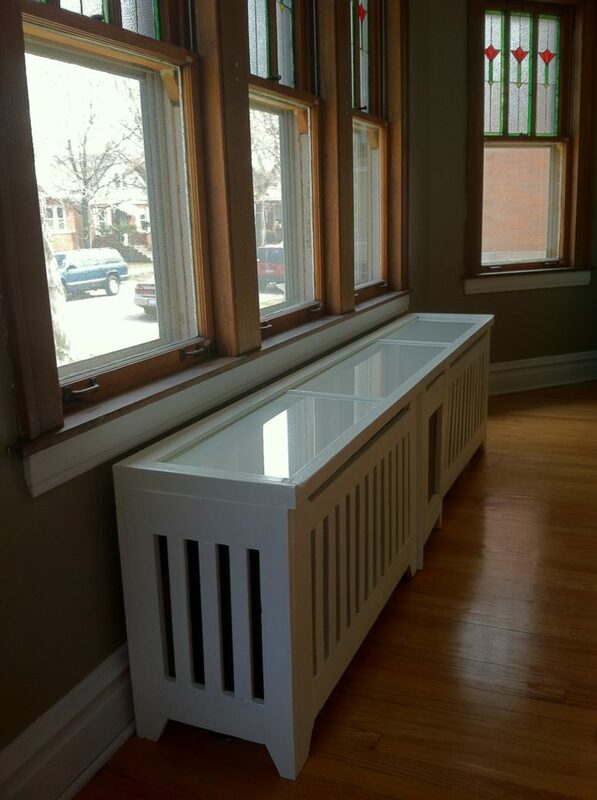 Here we have a bench cover next to the window sill. It’s made of MDF and a cool metal sheet to reduce the heat loss and there’s a solid top to make the bench comfy for sitting. You can use it to place or display something or just to read by the window. 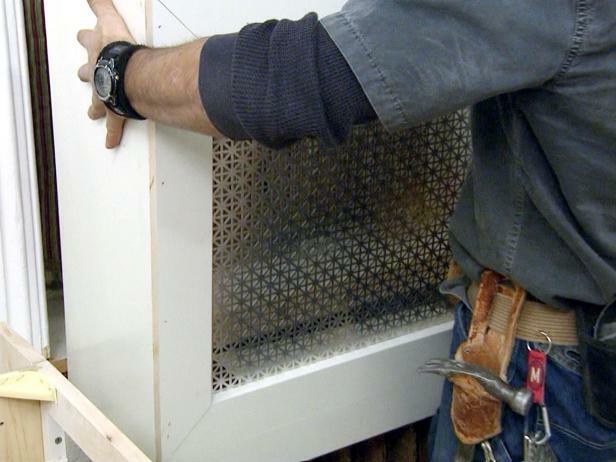 One more radiator cover cabinet made of MDF and a metal screen sheet. Not very difficult to build according to the instructions and schemes. Again, you can use the top for displaying something but be aware that it can get hot. The next project is for a radiator which isn’t often used but still needs a cover as it’s ugly. Some veneer and radiator tin will be necessary to make this cover. 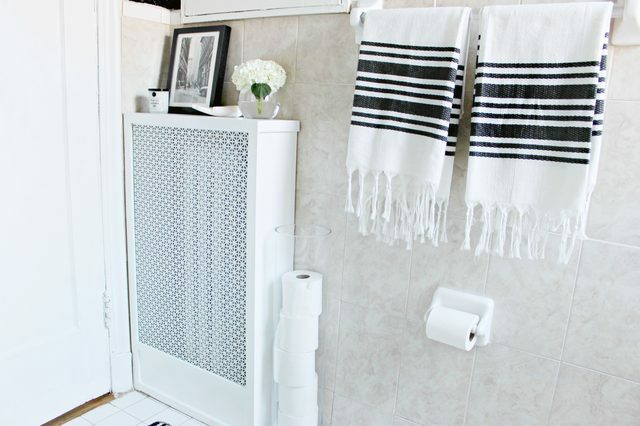 It’s painted all-white to make it light and pretty, and it’s also used as a shelf. 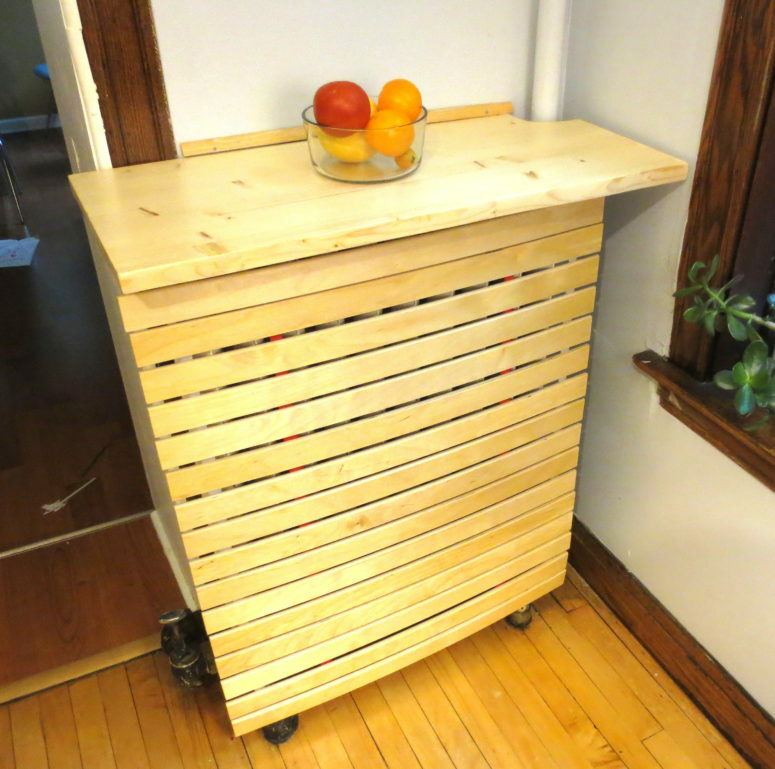 The last craft for today is made of IKEA Slat Bed Base. 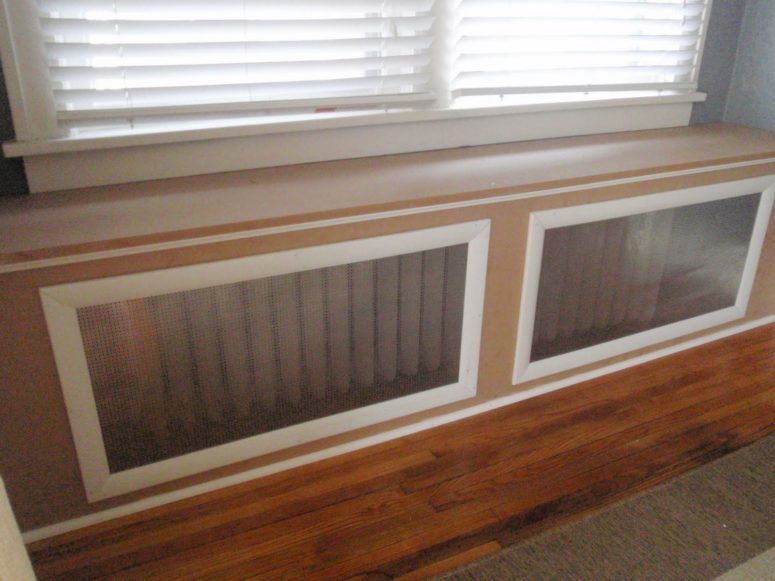 The slats are attached to wide ribbon and they are used to cover the radiator. No finish, no excessive work, just a furniture stapler! 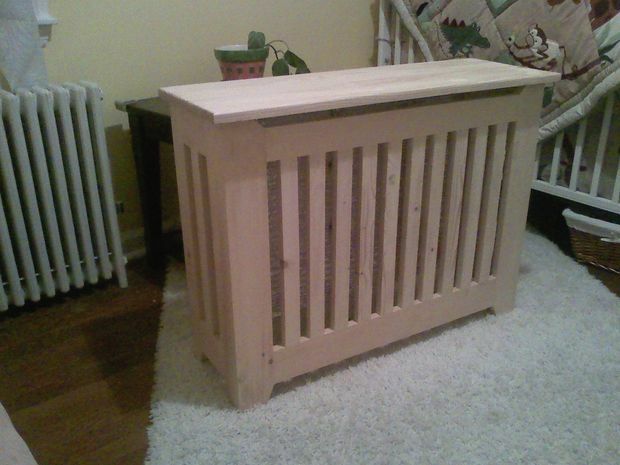 Such a craft won’t take much time and is easy to make, thanks, IKEA!